Matt and Kate Jennings opened Farmstead, a shop selling only cheeses from small producers around the world, in 2006. Two years later they opened La Laiterie, a bistro with a cheese-oriented menu, in an adjoining space. 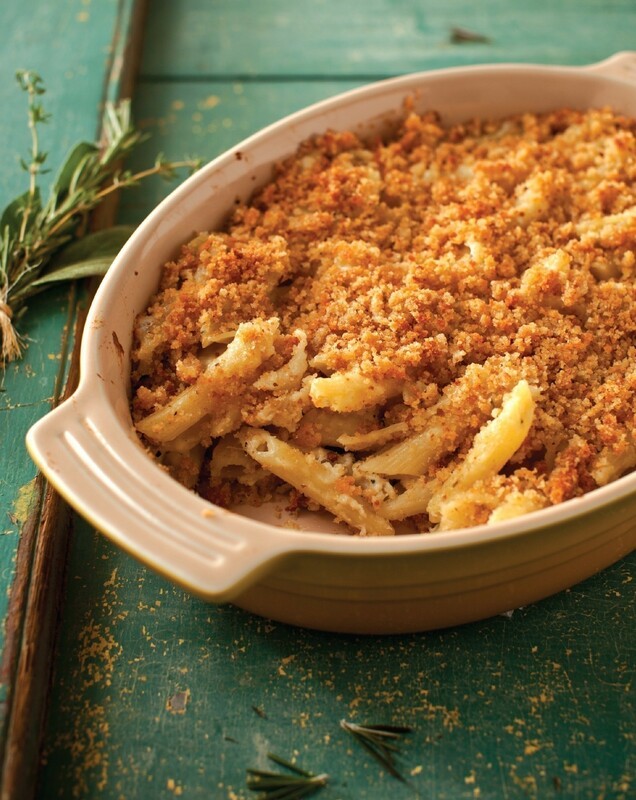 The mac and cheese quickly became the one dish that could never be cycled off the menu. The addition of a restrained amount of fresh herbs, as well as creamy Brie, to the traditional mix of Gruyère and Cheddar makes their version richer than most. Preheat the oven to 375ºF. Grease a 13 x 9-inch baking pan. Bring a pot of salted water to a boil over high heat. Cook the pasta until it is just beginning to soften to the al dente stage. Drain the pasta, run it under cold water, and return it to the pot. Scrape the white rind off the Brie, and chop it finely. Combine the Brie with the Gruyère and Cheddar, and set aside 1/2 cup of the cheese mixture.